Once again, Ministry of Sound resident DJ Tim Cullen brings his hard hitting night of house and techno to The Forum. 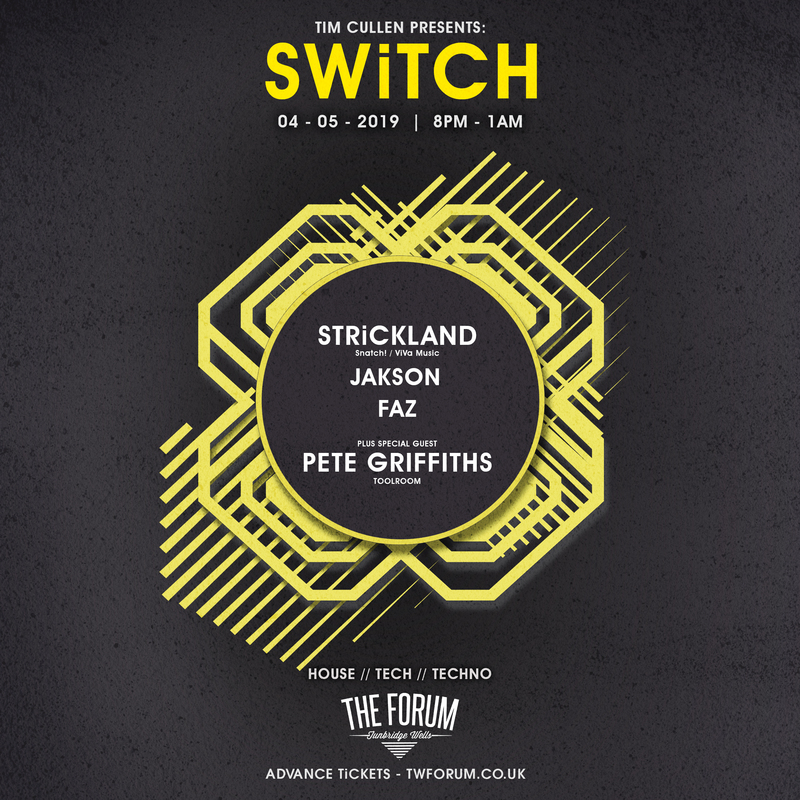 Expect strobes, smoke, lasers, a great up-for-it crowd, and a superb selection of talented DJs spinning alongside Tim’s darker alias, STRiCKLAND. "Tunbridge Wells Mental Health Resource Ltd (MHR) provides short term and long term mental health support services across West Kent, to empower people to re-take control of their lives and work towards reducing the stigma surrounding mental illness. ​ Every year, we help over 900 people through 5 services, by focusing on their well-being and recovery so they can work to increase their self-confidence and feel a full and valued member of society."